Truth is, it's truely weird because it's supposed to be bright and colourful plus all the Kardashian men except Bruce Jenner who is locked in a glass booth were missing. 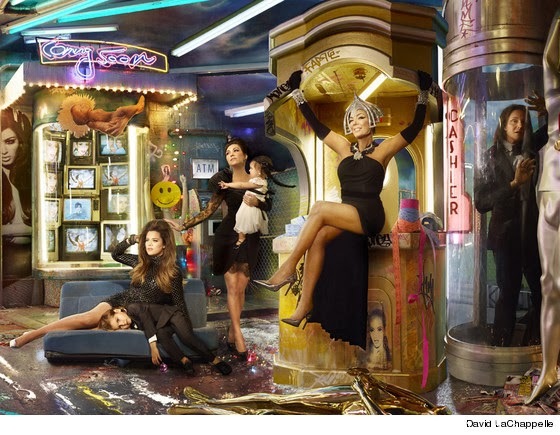 Whoever said the Kardashians were unidentifiable in the Christmas Card, needs to take a look at the cropped photos below. Lest I forget, the Christmas Card is very artistic and they were posing in a carnival-themed room atop of endless tabloid magazines, dollar bills and mannequins.